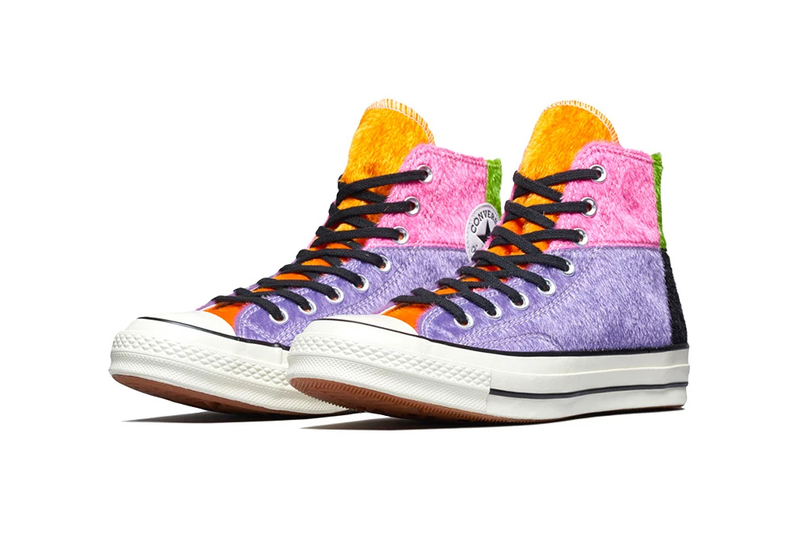 Converse‘s Chuck Taylor All Star is back a new multicolor makeover that makes use of pony-hair-type material. Dropping in one playful colorway, this newly released sneaker reminisces on its silhouette’s 1970s upbringing by bringing forth retro, eye-popping materials that were present in the 70s. The sneakers upper is patched with purple, pink, orange, green and black that sits atop the traditional black and white rubber midsole. The shoe is paired with the usual gum outsole as well as black laces and metal eyelet details.